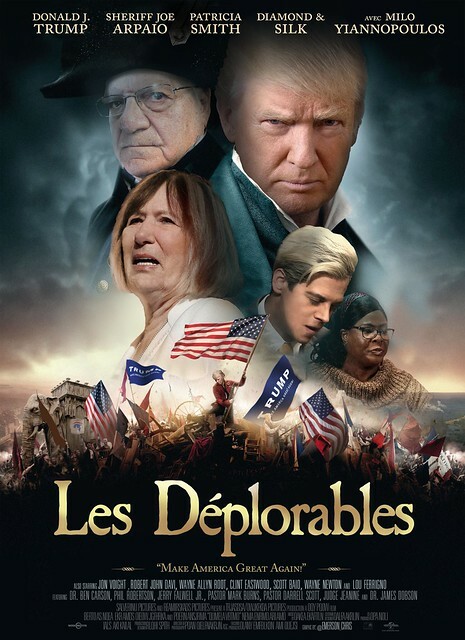 Here’s a poster graphic I couldn’t resist whipping up for #LesDéplorables. I originally had Barack Hussein Obama as the police man in the background but he was ruining the mood and I just couldn’t stand looking at him – plus I thought Sheriff Joe would be a better fit anyhow – assuming everyone understands he’s one of the good guys (in the film that character is not). I couldn’t resist so I made a couple alternate versions to use as a desktop wallpaper and banner on Twitter, etc. 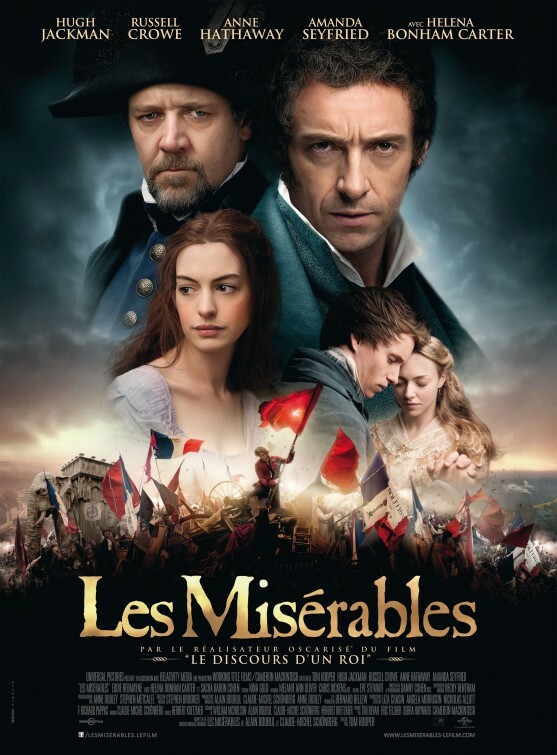 I also included a few lines from “The People’s Song” (from Les Miserables) since they are also so fitting! 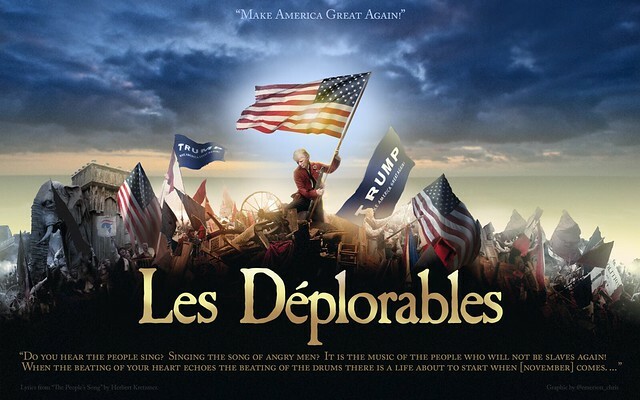 In case anyone didn’t see it, here’s Trump walking out to the tune of Les Miserables at one of his recent rallies … epic.